The ALPHAbook1 was announced in 1995, and came on the market in early 1996 at a price of $20,450 (128MB model). It was made by Tadpole, a company that specialized in ruggedized laptops. 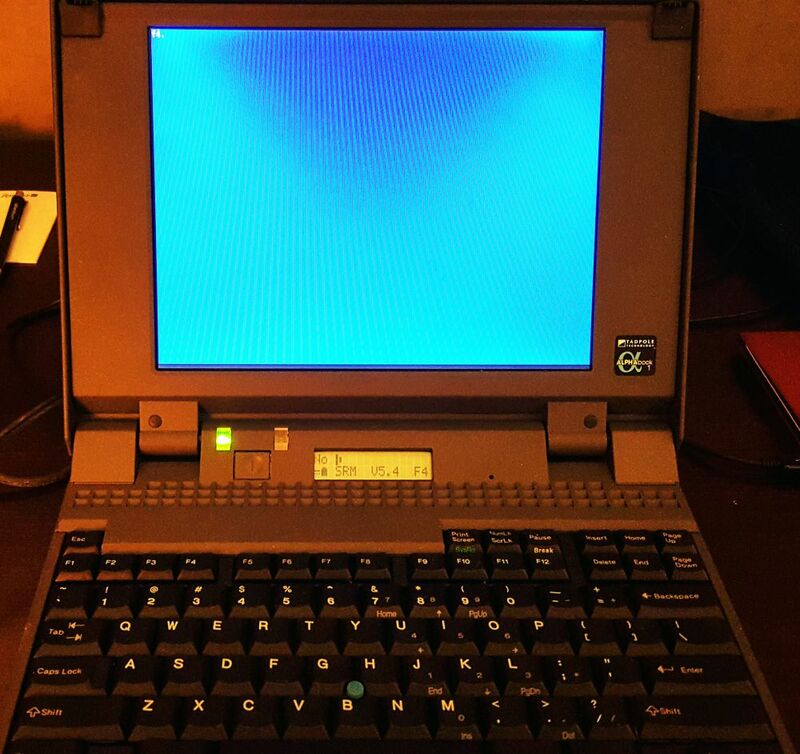 Tadpole was unusual in that some of their laptops were laptop versions of UNIX workstations; they built laptops around SPARC processors (we have a Tadpole SPARCbook I in the collection), POWER processors, and PA-RISC processors. 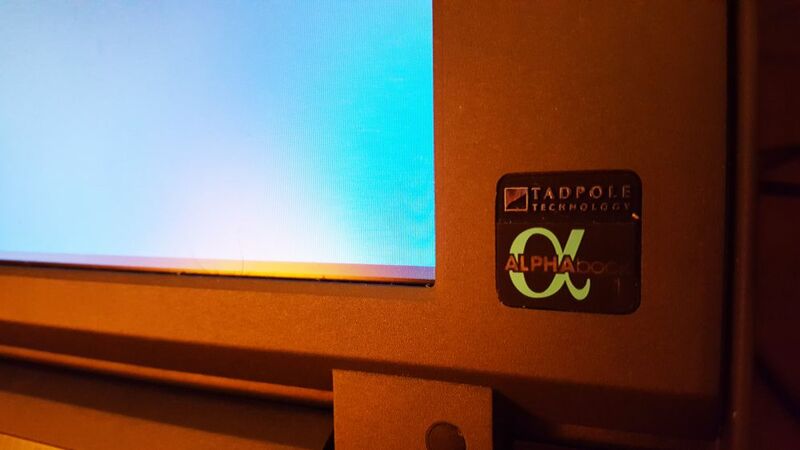 The ALPHAbook 1 was the only laptop ever built around an Alpha processor. It ran the OpenVMS operating system, and was mostly sold to military contractors and consultants. The first ALPHAbook in our collection was given to us after a presentation Camiel gave about OpenVMS at an event in Paris, France (see Finally got an ALPHAbook). This ALPHAbook originally belonged to a DEC engineer. 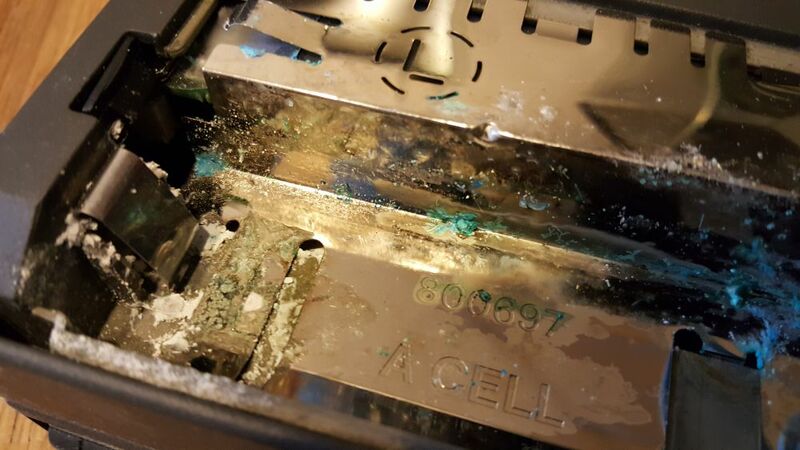 Sadly, it had been stored with the old rechargeable battery still installed in the laptop, and the battery had leaked its acidic content all over the interior of the laptop. Amazingly, after some cleaning up and minor repairs, the laptop works again, except that the keyboard could not be repaired (the keyboard membrane had some of its traces eaten away by the acid). It doe work with an external keyboard though. This ALPHAbook came with a power supply, docking station, car adapter, external floppy drive and cable, external disk housing and cable, PCMCIA network card, audio cable, and two 1.2GB hard disks (one in the laptop, one in the external disk housing). In 2018, at the DEClegacy (ext.) event in Windermere, we received a second ALPHAbook from an old friend. 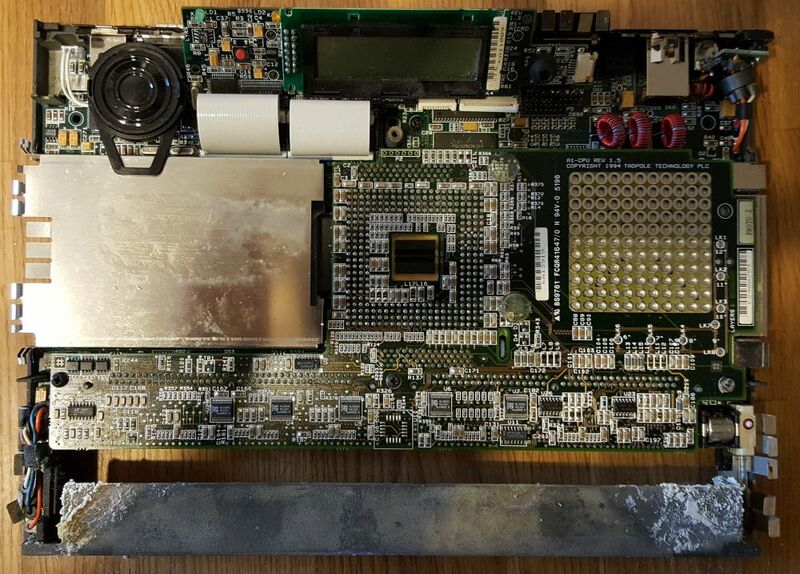 This ALPHAbook was reportedly no longer working, and had been fully disassembled. This ALPHAbook originally belonged to a consultant to three-letter US agencies. 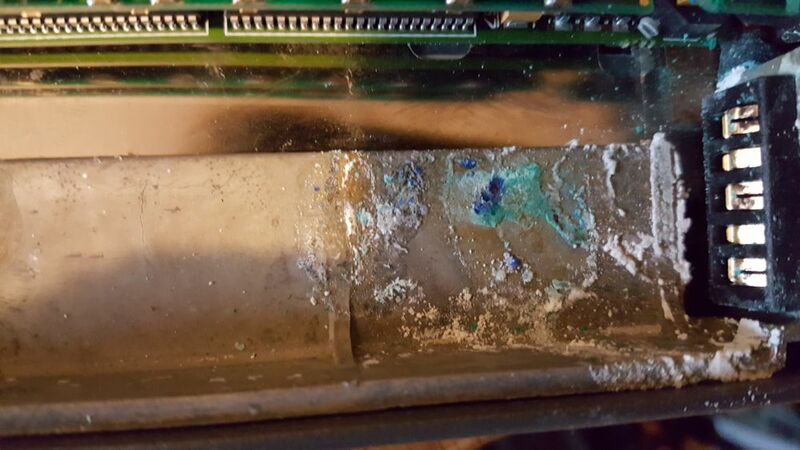 After some careful inspection, the remains of this ALPHAbook were combined with the display and memory modules of the first ALPHAbook, the result of which is a fully operational and cosmetically nearly flawless specimen. This ALPHAbook came with the original leather carrying case, power supply, docking station, external battery, external floppy drive and cable, PCMCIA network card, audio cable, and a 520MB hard disk.